On April 18, 1775, Paul Revere left his house in Boston’s North End to begin the infamous Midnight Ride, warning the colonial fighters that the British were coming. The Paul Revere house museum is not only dedicated to the legend that became Paul Revere but to his actual history, his family and their lives in 18th century Boston. The entire house and its grounds have been restored and designed as they would have looked when the Revere family called his house home. Having fallen into disrepair, the Paul Revere Memorial Association rescued and restored the house to be used as a historical museum and monument to an American patriot. His home for 30 years, the house was later converted to a boarding house for sailors and even later it was a candy store, green grocer, and an Italian bank. A near accident involving a kerosene lamp fire raised concern over the state of the house and its historical significance. It was purchased by Revere’s great grandson in 1902 and with fundraising help, they began this landmark’s restoration process. 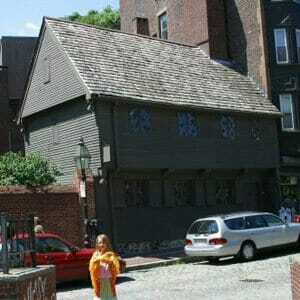 As one of the stops on the Freedom Trail, the Paul Revere House and museum is part of the foundation’s tour itinerary which includes guided, informative walkthroughs. The museum is self-guided although guidebooks and staff are always available to answer questions and supply information. Family central activities and child friendly programs are offered periodically including living history presentations and Midnight Ride storytelling programs. The museum shop is open daily and sells everything from books and games to children’s apparel, colonial cookbooks, and Paul Revere ornaments. The Paul Revere Memorial Association was and is dedicated to the conservation of this patriot’s true history, including his home, and for the education of the public. Bring your group down, step back in time, and experience this period-style home museum in the heart of Boston.